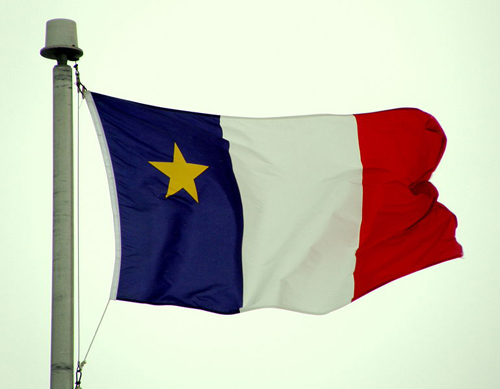 “The tri-coloured flag is the flag of France, the country from which all Acadians are descended. This flag only tells Acadians that they are French and that France is their motherland. However, I also want Acadia to have a flag which reminds the children of Acadia that they are not only French, but they are also Acadians…..